Janhvi Kapoor is undoubtedly the next blue eyed protégé of Karan Johar after Alia Bhatt. The actress, who made her debut with the filmmaker’s production Dhadak, seems to have made a hattrick with the director-producer. After she was signed on for the multi-starrer period drama Takht, Janhvi is all set for her third film with Karan and it is a biopic based on woman warrior Gunjan Saxena. 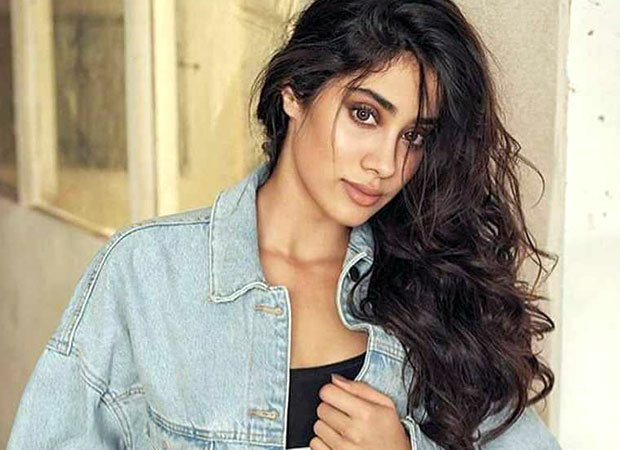 Set against the backdrop of the 90s during the Kargil War, this will be Janhvi Kapoor’s first female centric biopic as the leading lady. Speaking of Gunjan Saxena, she was awarded for her courage and valour with Shaurya Vir during the Kargil War and she was the first women to receive the honour. She was a part of the first batch of 25 women who were selected as IAF [Indian Air Force] trainee officers in the year 1995 and she along with another woman officer Srividya were assigned the duty of Kargil War. The film will be an untold story of how this young woman turned out to be an inspiration for many. As for the film, the title and the director for the same are yet to be decided. Janhvi Kapoor, however, has already started her prep for the film. We hear that the actress recently met Gunjan, the army officer herself to understand her thought processes and mannerisms. We hear that during the Kargil War in 1999, Flight Lieutenant Gunjan Saxena along with another Flight Lieutenant Srividya were given the responsibilities of medical evacuations, supplying drops and understanding the Pakistani war positions in their small Cheetah flights. What added to the risk was that they were unarmed and defenceless. Despite the danger that lurked, both of the flight lieutenants carried out their duties with aplomb, coming in and going out of their war zones. Coming to the film, we hear that it is slated to go on floor sometime next year but it is yet to be seen if the shoot will commence before or after Takht. Also Read: BREAKING! Janhvi Kapoor roped in as a brand ambassador of Nykaa cosmetics! Has Alia Bhatt lost Sanjay Leela Bhansali’s next to Karan Johar?